The Bajaj Group is amongst the top 10 business houses in India. Its footprint stretches over a wide range of industries, spanning automobiles, home appliances, lighting, iron and steel, insurance, travel and finance. 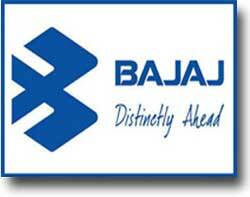 The group's flagship company, Bajaj Auto, is ranked as the world's fourth largest two- and three- wheeler manufacturer and the Indian Bajaj brand is well-known across several countries in Latin America, Africa, Middle East, South and South East Asia. It was founded in the year 1926, at the height of India's movement for independence from the British, the group has an illustrious history. The integrity, dedication, resourcefulness and determination to succeed which are characteristic of the group today, are often traced back to its birth during old days of relentless devotion to a common cause. Jamnalal Bajaj, who was the founder of the group, was a close confidant and disciple of Mahatma Gandhi. In fact, Gandhiji had adopted him as his son. The deep involvement in the independence movement did not leave Jamnalal Bajaj with much time to spend on his newly launched business venture. His son, Kamalnayan Baja, took over the reigns of business in 1942. He too was close to Gandhiji and it was only after Independence in 1947, that he was able to give his full attention to the business. Kamalnayan Bajaj not only consolidated the group, but also diversified into various manufacturing activities. The present Chairman of the group, Rahul Bajaj, took charge of the business in 1965. Under his leadership, the turnover of the Bajaj Auto the flagship company has gone up from INR.72 million to INR. 120 billion, its product portfolio has expanded and the brand has found a global market. He is is among India's distinguished business leaders and also internationally respected for his business acumen and entrepreneurial spirit. Bajaj Auto is the flagship of the Bajaj group of companies. The group comprises of 34 companies and was founded in the year 1926. The concept of Corporate Social Responsibility is very much relatively recent. But the philosophy of social responsibility and commitment is only to give back to the society underlines the Bajaj way of conducting its businesses for a number of years now. The wide spectrum of most of the community development endeavors is undertaken by Bajaj Auto Ltd - embracing everything from health and education to women empowerment and more - has touched, and changed, many lives. a) Individual based and Owned Learning - "I do it my way" - Employee develops one's own learning plan, based on mutually identified competency gaps, in present and aspired job in career path. b) User friendly Learning Management Software - The company provides self-paced and location independent learning by offering 24X7 single window platform for all learning interventions like instructor-led training programs, E-learning modules and informal learning through communities. c) Idea Management and Knowledge sharing - The company encourages its employees to explore the unknown and in the process, create value for the company. In early March 2010, Bajaj Auto Ltd. once again had demonstrated its commitment to green technology by achieving Bharat Stage-III norm compliance for its range of products-the first company to do so. The Bharat Stage III norms were notified by Government of India on recommendation by Dr R.A. Mashelkar committee for the control of pollution in the country and are applicable across all states. Bajaj Auto achieved this much before the stated deadline of April 1st, 2010. Bajaj's patented technologies such as DTS-Si and the DTS-i have always been at the forefront of eco-friendliness due to their efficiency and much lowered emissions.